Join us at Heritage Monona for adult coloring with classical music and aromatherapy! Light refreshments will be provided. Memory Cafes provide a safe, supportive place where people with memory loss and their caregivers can connect, learn and engage with others. 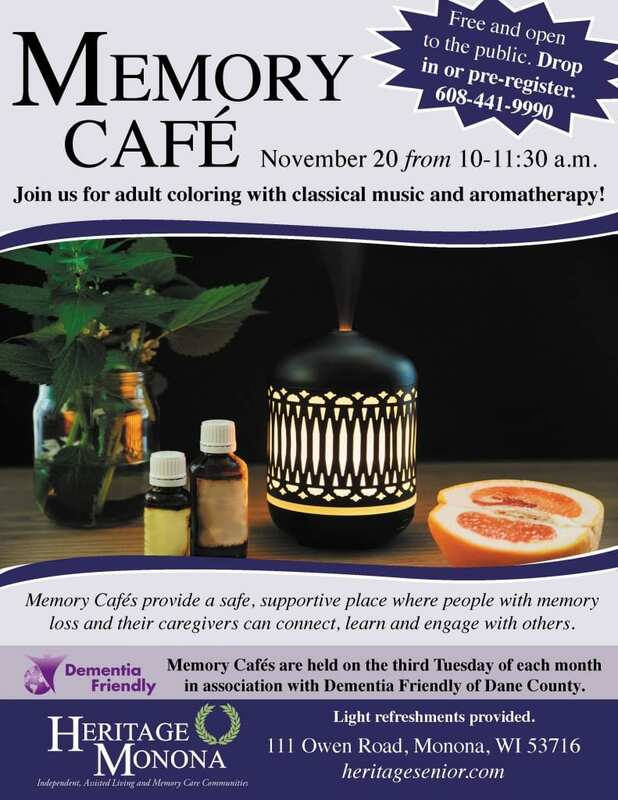 Memory Cafes are held on the third Tuesday of each month in association with Dementia Friendly of Dane County.